Home best pen vaporizer vape pen for wax wax vape pen wax vaporizer What You Should Know About Wax Vape Pens? What You Should Know About Wax Vape Pens? Are you thinking about buying a wax pen? This blog may be useful for you. Here we’ll discuss most important things about wax vape pens and some of the leading pens available in the market. The wax pens come in various sizes, and they are also some of the smallest portable vaporizers. When it comes to the operation, they are very efficient as well. What they need is a small battery and a wax chamber. The portable dry herb vaporizers need a bigger herbal chamber to fill up more herbs, and a strong heating coil element to make sure that the wet herbs get a proper heat distribution for vaporization. The attachments of the wax chambers are small, and the metal coils are wrapped around a ceramic rod. The wax vape pens come with a dab stick or a dab tool. It helps in adjusting the concentrates and keeping them safely on the heating coil. It is important to understand that when wax becomes liquid; it sticks to the walls of the wax attachment. It becomes difficult to vaporize and sometimes gets clogged as well if it is not heated well. 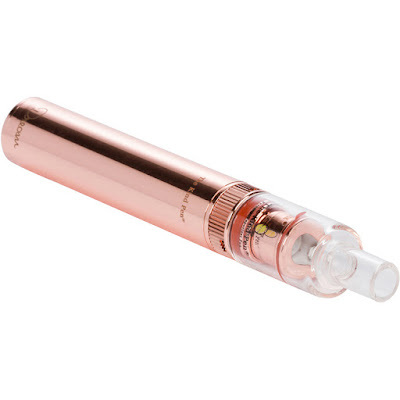 To use the wax vape pen, you need to click the power button, and the blinking light showed that it is on. Just check the coil whether it is on and working. It ensures that you are not wasting the wax by placing it on the coil. Take off the mouthpiece which is attached to the chamber take the small piece of wax according to your comfort. Then gently drop the wax from the tool onto the coil and just do it with your finger. As soon as you press the power button on the wax starts melting or vaporizing, just ensure that the mouthpiece is on. Try taking a hit and then open the mouthpiece to scrape the sides and the walls of the chamber and see what is left behind. There are wax vape pens which are more popular than the others. Now let’s find out which are better ones in the overall experience. These pens have become popular because of some reasons. In these pens, you can see the vapor form and rise from the glass globe attachment. The moment you press the power button on the battery, the heating coil instantly creates vapor from the wax. They also have a consistent coil which doesn’t make burnout quick and neither clogs. Besides, the ceramic heating coil is also large. It means you can easily carve out wax when it gets liquidy. The heating metal of these pens is metallic. The metal is wrapped around the wick which is entirely ceramic. The glass globe is made of the Pyrex glass which is known for high resistance against heat. It is one of the simplest best vape pens to come in the market. As soon as you put the battery onto the wax chamber, the vape is ready for use. Its chamber is small and captures the wax that could have been wasted from the walls. You can make use of the dab tool to take out the wax and drop it in the heating coil. You may to charge the sticky wax vaporizer and then take it off the charger. Just screw on the chamber with the battery and see if the coil is running properly.